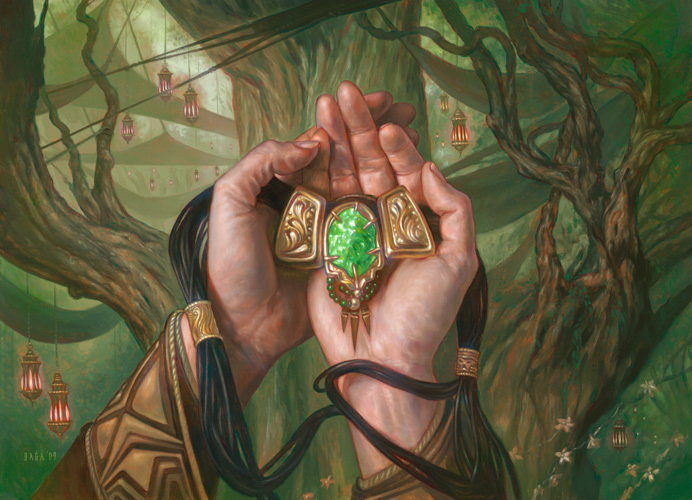 When I first attempted to cover the most expensive deck in Magic, I got chewed out pretty hard by the MTG elite who happened to read the article. I don’t own any of the P9 or other high end cards that I researched. Regardless, I tried to get my head around the costs of some of Magic’s high end staples in order to demonstrate how collectible some of cards have become over the years. Laughably, I tried to use eBay to determine a lot of the prices for things like foil Russian Jace, the Mind Sculptor. It didn’t take very long for the real experts to let me know how bad I did. I’ve now attempted to update the wrong information that I bestowed upon the Magic community when I tried to identify the most expensive cards I could include in a tournament playable Vintage deck. After the initial Twitter feedback form the first article @SonodaMTG was my first stop for soliciting advice. With his direction I was able to correct many of the prices of foil Japanese cards found in the deck. 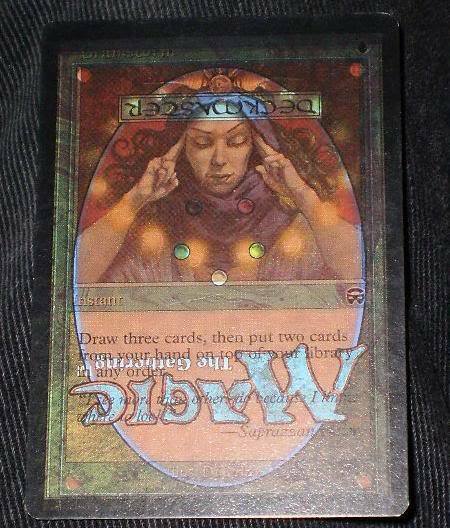 Also through him, I was able to make my way to the Magic: the Gathering Misprints and Oddities facebook group. Here I was able to solicit feedback from members on finding more accurate prices for the rarer cards in the deck. One of the lessons I’ve learned from this endeavor is that for extremely rare versions of Magic cards such as Summer Underground Sea there isn’t a book price or concrete source that you can refer to as a price guide. Websites like TCGPlayer, MTGPrice, MTGStocks, as well as eBay and many other MTG vendors will not have prices for these types of cards. The only exception I found to this was ABUGames, which is where I found my initial source for Summer Magic Cards. Problem was, they were outdated and I needed to get a more accurate estimate for their worth. Since there wasn’t a central posting of the card values, almost all of my price revisions I’ve included in this article are updates based on word of mouth and crowdsourcing on the misprints and oddities Facebook group. Don’t get me wrong, these prices came straight from the horse’s mouth. These are all people who not only play Magic but collect these rare, valuable cards as a hobby. They generally only buy and sell from each other, so it can be hard for the community in general to guess at the price of some of these cards without having prior experience dealing with cards this collectible. Though the group helped me tremendously, I still had to approximate the values of a few foil Russian cards because I didn’t get feedback from my first article on the price. I wanted to wait a while before posting an update in order to have enough time to solicit feedback from the community. At this point, I feel like I have enough information to provide a better estimate. In order to estimate the unverified cards, I used the updated estimates I got on cards like foil Russian Jace, the Mind Sculptor and foil Russian Dark Confidant in order to create a more accurate multiplier for other Russian foils that I did not receive verification. This multiplier was essentially an average of all the multipliers I had for existing prices. Again though, it is hard to estimate a price on some of these cards unless you are a collector who specializes in finding and pricing these types of foils or other rare oddities. I am not saying that this is the final list again, by any means. I’d like to keep this going as a community project because I thought the original idea was pretty awesome. I’m sure there are cards on this updated list that probably need to be revised again. I was told that the list should clear $500K but even after correcting some of my biggest mistakes I still haven’t come close to this. Please, if you have a better estimate for something let me know! In this spreadsheet you will find all the specific sources for each card that I used to quote their price. A lot of the prices were copied over from my first article. Those sources have stayed the same and I have indicated that in the price column. A few cards still do not have a source because I have not received a price quote for them. I used the average multiplier for foreign foils to come to a best guess for a price if I still didn’t have a source. As you can see, the misprint / oddities Facebook group helped me out tremendously – thank you guys! As I receive more price updates, I will add them to a separate tab in the spreadsheet and then consolidate them into the existing list when I can. Keep checking the spreadsheet to see the most recent updates. You can also send me a tweet @gildedgoblin if you want an update included. Again, thank you to all those who helped me update this list!